Shamisenfred has just posted the first segment of what I hope will continue to be a great project. 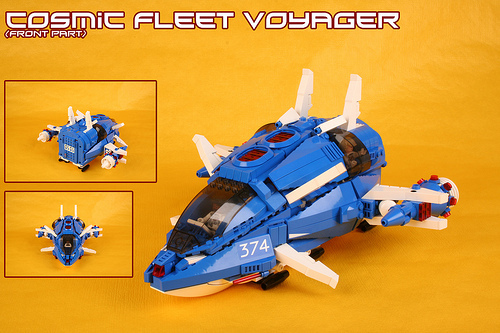 He is building a remake of the classic space set Cosmic Fleet Voyager. I’m enjoying the style of this remake, the rounded fuselage has a cool anime vibe to me. The round body together with the stuby wings can’t help but feel cute. The windows on the side are also just pure win.